Vincent B. Skinner, Sr., 94, husband of the late Orilla ("Tillie") Skinner, was born to eternal life on Thursday, March 21, 2019. He died very peacefully at his home. A son of the late John and Katherine (Fogarty) Skinner, Vincent grew up in Bristol. He graduated from St. Joseph School and Bristol High School. During WWII he served in the U.S. Army as a military policeman and infantryman in England, France and Germany. He was married to his beloved wife for 63 years. They were founding members of St. Gregory parish and daily communicants at morning Mass. Vin was active in Holy Name Society, Retreat League, Nocturnal Adoration Society, CCD and CYO. He worked as a skilled tool and die maker until his retirement from Wallace Barnes in 1988. For many years he was a woodworker and volunteer at Bristol Senior Center. He enjoyed chats with family and friends, photography, genealogy, gardening, baking bread, and being PaPa to his granddaughter. His 2017 Honor Flight with other veterans to visit the World War II Memorial in Washington DC was a special journey that uplifted him. 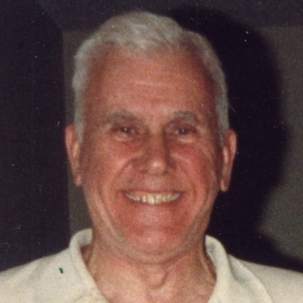 Vincent was a devoted husband and father who will be dearly missed by his children: Kathleen of Wilmington, DE, Mary Ellen of Bristol, Vincent Jr., his wife Marian and daughter Eleanor of Bowdoinham, ME, Eileen and her husband John Tavolacci of Redding, CT. He is also survived by his sister Patricia and her husband Robert Wilson of Bristol, his nephews, nieces, and their families. In addition to his wife and parents, he was predeceased by brothers Thomas and Francis Skinner and sister Theresa McDermott. Vin was grateful for the daily care of his CNAs, Kyle and Mike. He was blessed with good friends throughout his life and was thankful for every one. A Mass of Christian burial was celebrated on March 25 at St. Gregory Church, Bristol with burial in St. Joseph Cemetery. A memorial donation may be made to St. Vincent DePaul Mission of Bristol, Inc. (SVDP), P.O. Box 1922, Bristol, CT 06011-1922.